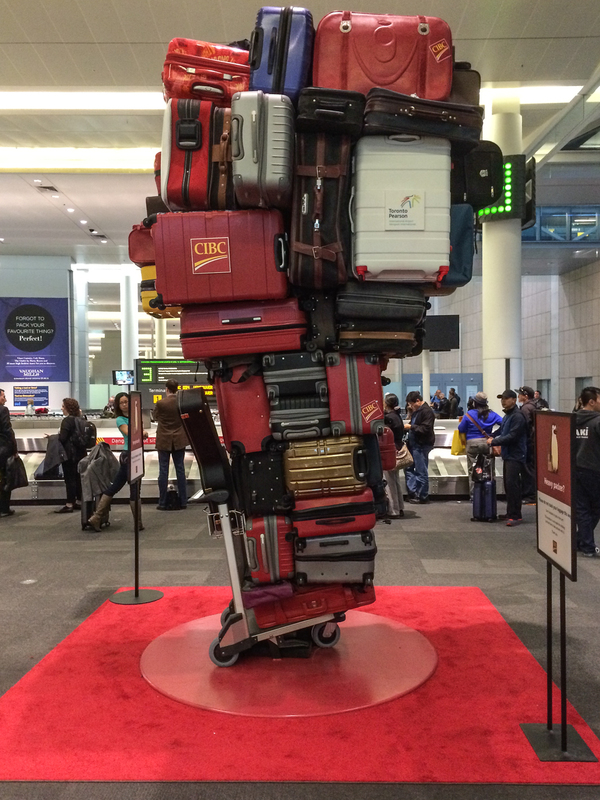 The art starts at Toronto’s modern, light-filled Pearson International Airport with a delightful sculpture of a baggage cart loaded nearly to the ceiling greeting arriving passengers in baggage claim. It is a harbinger of that unique Canadian sense of humor and hospitality. The central Toronto skyline is much-changed in the last 10 years. While the CN Tower still dominates, new dramatic skyscrapers have sprouted in the downtown core and condo towers are going up apace. There is a bustling of construction including a renewed Union Station, new shops and galleries in the rehabbed Distillery and Warehouse Districts, street upgrading and more. 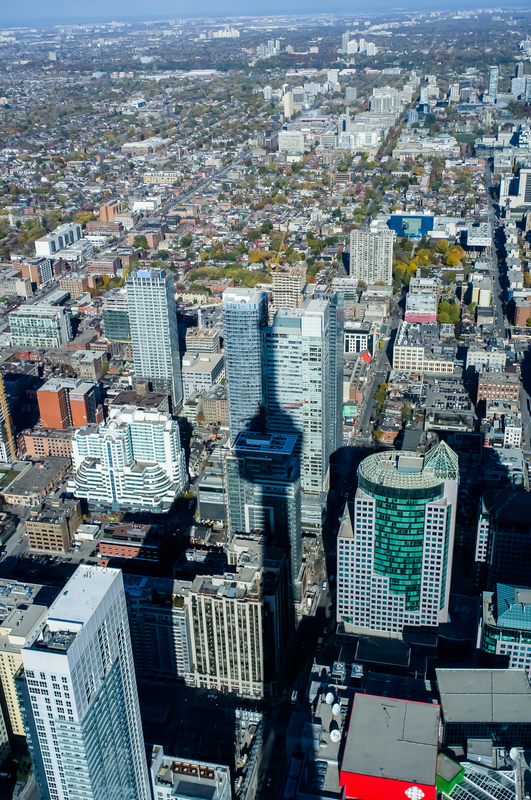 The CN (Canadian National Railroad) Tower casts a big shadow over central Toronto and offers wonderful views. 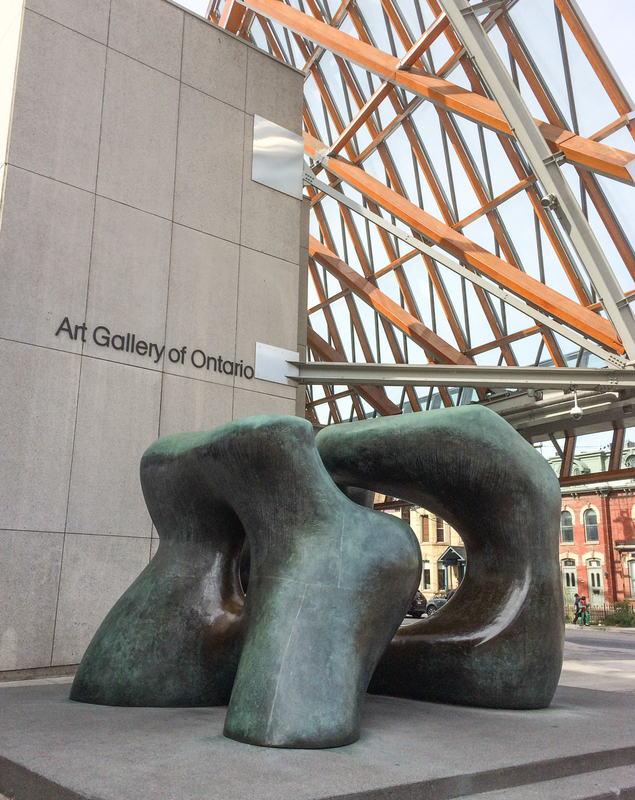 Places to see on a four-day visit might include a visit to the Art Gallery of Ontario (AGO) with its Henry Moore sculpture collection and dramatic remodel by world famous Toronto-born architect Frank Gehry. Recent exhibitions include Alex Colville’s engaging paintings and works by Michelangelo. Also In the AGO’s collection of over 80,000 works are European masterpieces and a very strong Canadian collection. Art Gallery of Toronto with Henry Moore sculpture. 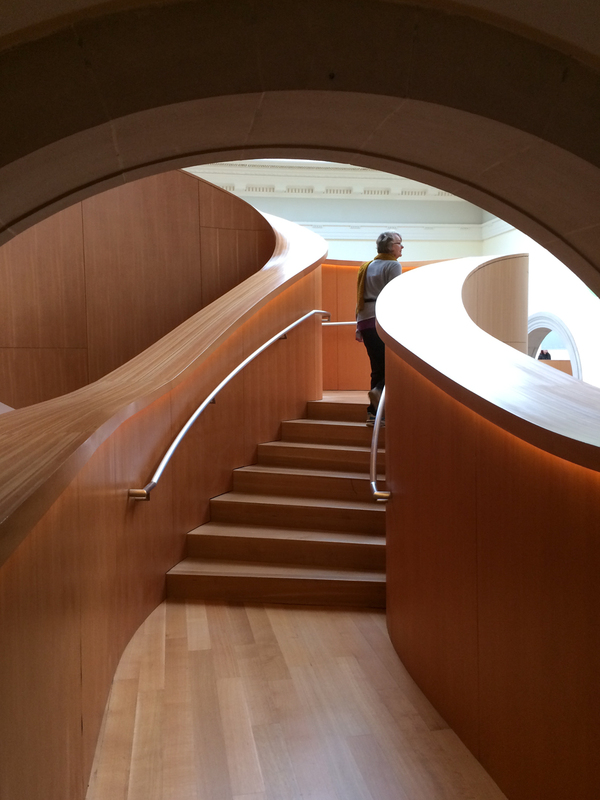 Part of architect Frank Gehry’s masterful work in the Art Gallery of Toronto. Street art abounds in Toronto and many of the artworks are sanctioned by the city. On our visit we met street artist Aurora painting a large mural. She told us that taggers leave work by other artists alone as a sign of respect. Random public art on telephone polls and other places will surprise and delight. A great place to see this is on a stroll through the Kensington Market area, which is a delightful walk through bargain-filled Chinatown from the AGO. 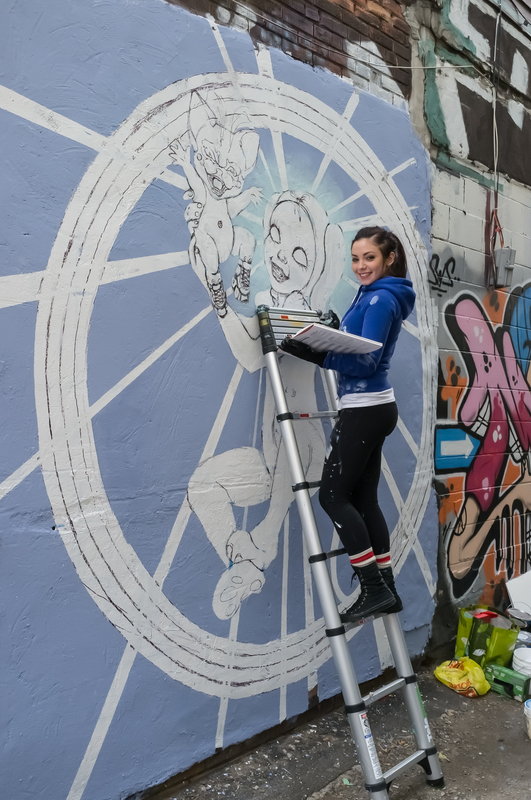 Street Artist Aurora works on her piece in the thriving Kensington Market area of Toronto. Art galleries and unique shops in the West Queen West Art + Design district are plentiful and can easily absorb a full day. We found a walking tour led by Betty Ann Jordan to be practical and timesaving. We were able to learn about the history of the area and the support given these dedicated Districts by the city of Toronto. 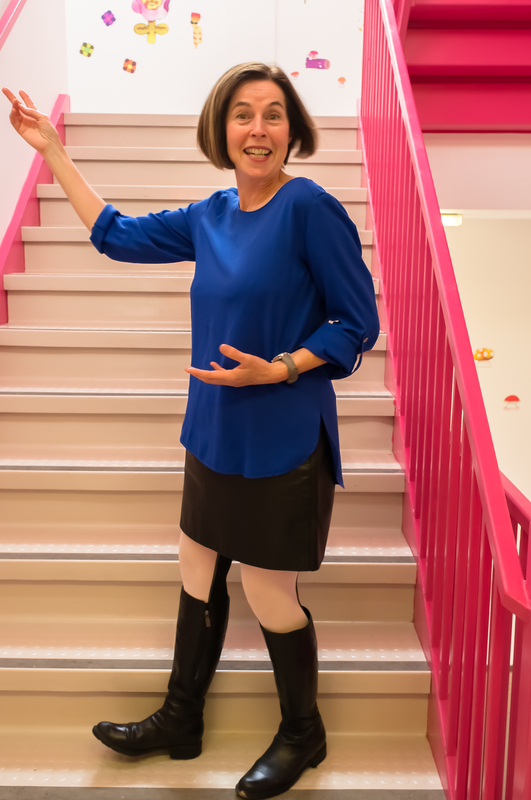 We were able to visit places like Artscape Young Place, a re-purposed public school building, now an art hub making studio and gallery spaces available to a wide range of individuals and groups. While open to the public, this venue might be off the beaten path and the walking tour made finding it easy. 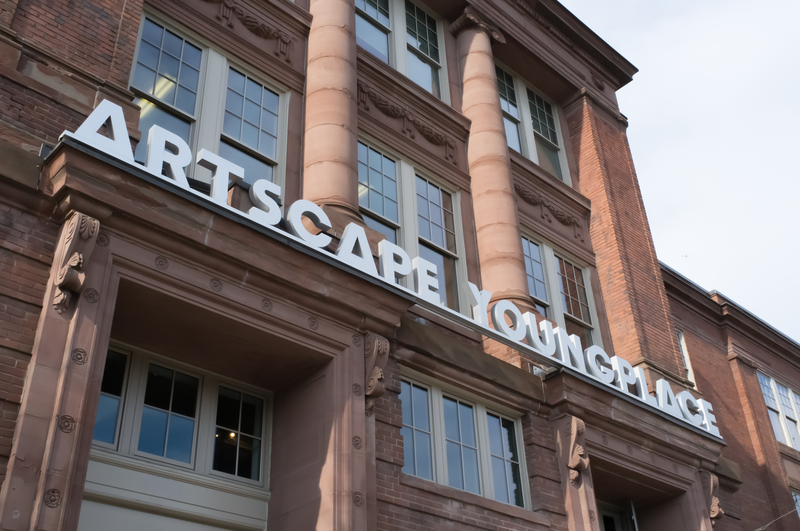 Artscape Young Place, a former school, has been re-purposed as studio and gallery spaces. We also visited chic boutiques like Gravity Pope (best shoes in Canada) and BYOB (unique bar and hospitality wares) and galleries like Angell Gallery, the Edward Day gallery and Craft Ontario, all emblematic of the West Queen West District. BYOB, a great hospitality emporium in West Queen West Art+Design district. Within a few blocks of each other downtown are the CN Tower, with spectacular views of the Toronto vicinity, the new Ripley’s Aquarium of Canada, the Air Canada Center (Toronto Maple Leafs and Raptors basketball team), the Toronto Railway Museum, the elegantly-sited Hockey Hall of Fame, the Toronto Convention Center and the TIFF Bell Lightbox (home of the Toronto International Film Festival). All of these attractions seem to have been designed in a worldclass fashion, befitting a historic center of finance, culture and commerce. 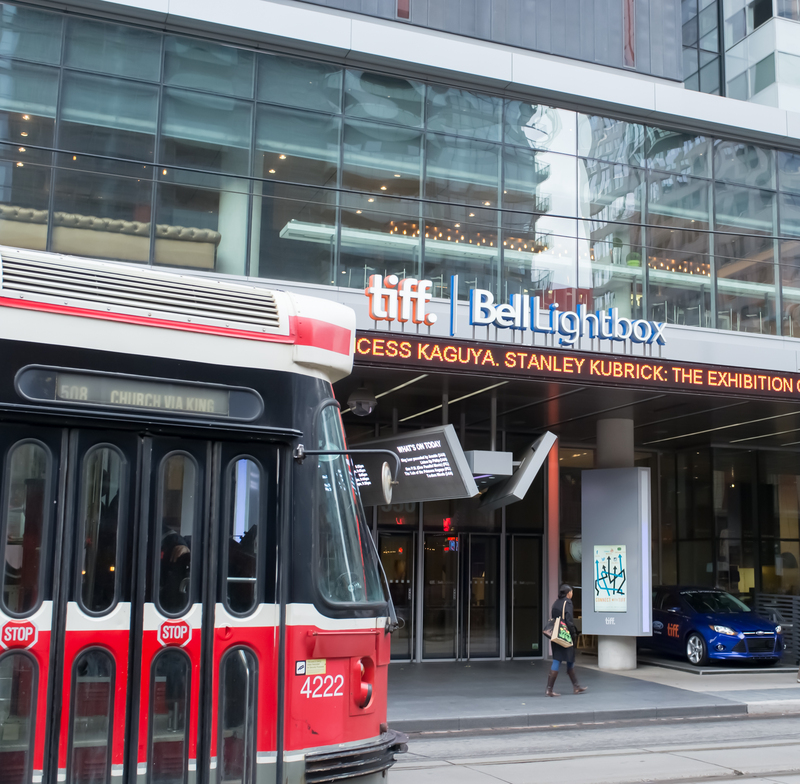 Home of the renowned Toronto International Film Festival with a ubiquitous Toronto trolley car. Two historical standouts that we enjoyed visiting were the St. Lawrence Market in Old Town Toronto and the site of Toronto’s St. Lawrence Hall (built in 1850). There are over 120 vendors selling everything from fish and meats to baked goods and kitchen supplies. There is also a wonderful exhibit room on the third floor which rotates historically relevant exhibitions during the year. Bruce Bell, Toronto historian, writer and speaker, conducts walking tours of the Old Town area for groups and individuals and does a great job rounding out the historical perspective of the Market and Old Town Toronto. 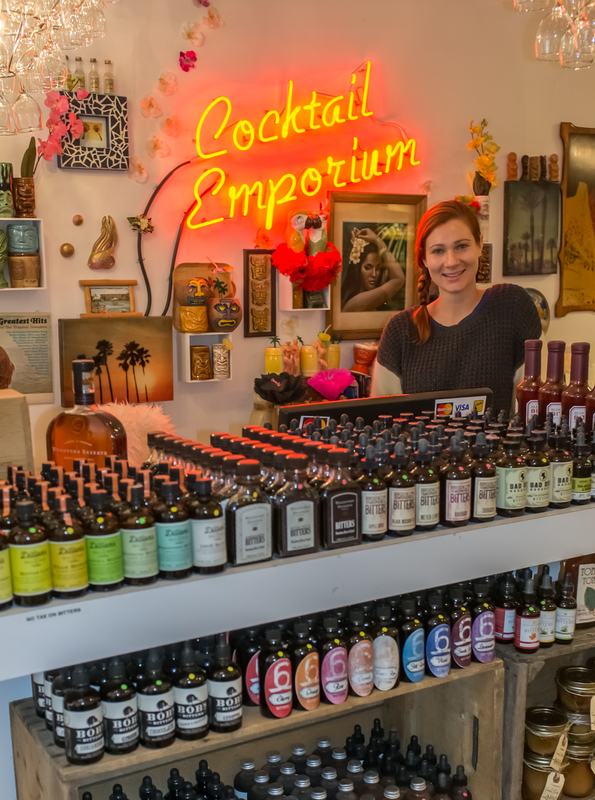 Don’t miss the North Market, across the street, site of a Saturday Farmers Market dating back to 1803 and a bustling scene with southern Ontario farmers bringing their goods to town. Bruce showed us the site of Toronto’s original town well and the place where offenders were placed in blocks by the harsh authorities in the early days of the city. 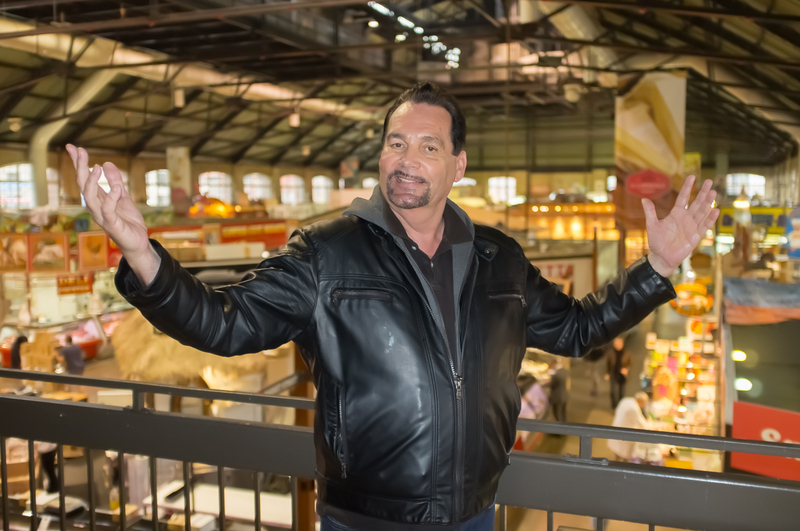 Bruce Bell leads wonderful tours through the Old Town and historic St. Lawrence Market. Link to his site at the end of the post. Another highly-recommended stop is the newly-rehabbed Distillery District. Dominated by the huge Gooderham &Worts, Ltd. sign. This visionary re-purposing of Victorian industrial structures, a national historic site, is clearly a success with its preservation and the modernization. Starting as a grist mill in 1831 and through the storied distillery history until reopened in 2003 as the Distillery Historic District, this is a great place to spend a day and get a great meal. Which leads us to our next section: Food! Because we only report on places we’ve experienced, let’s start with our first dinner in town at Luckee Restaurant, downtown at 328 Wellington St. West. Famed Chef Susur Lee calls it “Nouvelle Chinoise” and what it seems to us is a great new take on traditional Asian regional cooking incorporated into splendid menu items such as Long Xia Gow (lobster and asparagus dumplings), a jumbo shrimp plate with exquisite tastes and a blood orange and lemon curd tart for dessert. The menu is designed for sharing and the staff, like server Martin Bathke and manager Tiffany Knight, will guide you with informed suggestions. The decor is chic modern with an open kitchen. It is clearly a gathering place for urban-cool diners and families, too. The chic interior of Luckee Restaurant attracts a cosmopolitan mix of patrons and feeds them very, very well. We took breakfast almost every morning at our hotel, Le Germain Maple Leaf Square, not just because it was included with the room, but because it is served, buffet style, in 2 large second floor great-rooms with big windows capturing alot of sky and the downtown buildings. There is abundant staff bringing you your favorite coffee drinks and juices and efficiently refilling the wide-range of breakfast offerings. This room was really well thought-out for the business and tourist clientele the hotel attracts and doubles as a business center 24/7 and accessed by room key-activated elevator. Located at 75 Bremner Blvd, just steps from Maple Leaf Center. Highly recommended. 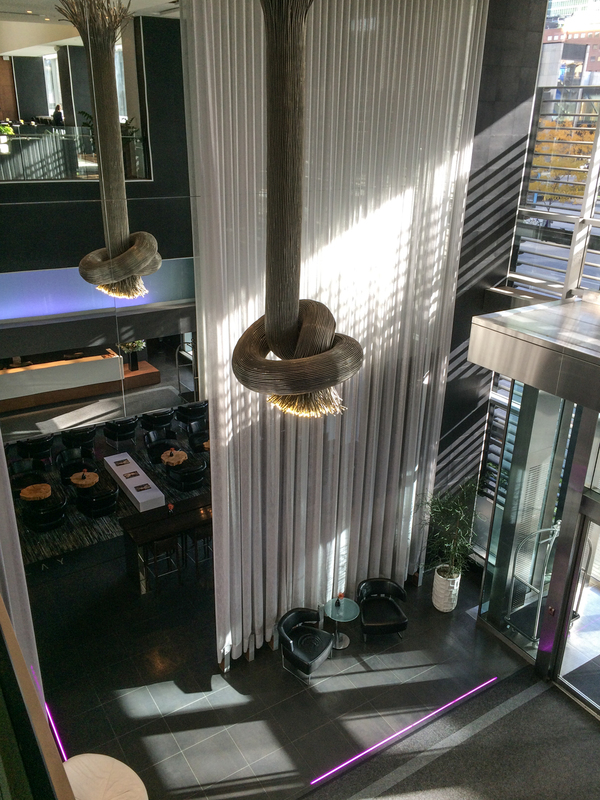 Part of the dramatic lobby of the Hotel Le Germain Maple Leaf Square . We had a lunch at Drake One Fifty, close to Le Germain at 150 York Street, and the food was excellent with a great brussel sprouts dish, sautéed mushroom skillet, a delicious kale salad and a hefty, aged beef burger with hand-cut fries. A business lunch environment, judging by our fellow patrons, but not in the least stuffy. The second dinner we had was a Mildred’s Temple Kitchen, a restaurant with an interesting Toronto history and located in the re-emerging and hip west end Liberty Warehouse District. Noted cookbook author Chef Donna Dooher and her partner Kevin Gallagher bring decades of experience and innovation to their farm-to-table menu. We had a red wine poached pear salad with pomegranate vinaigrette with arugula frisee and blue cheese and an excellent mushroom skillet that included grape tomatoes and kale with a black garlic vinaigrette topped with grated Pecorino. O, should we mention the knockout, house-made Profiteroles? We tried the Eephus Oatmeal Stout from Toronto’s Left Field Brewing at Mildred’s and it was a star. Fun place and hugely popular on weekends for brunch. Sushi anyone? Ki Restaurant offers a broad menu that includes a large sushi selection and other fare, as you’ll see. What’s more, you’ll find a Sake Sommelier in the person of Michael Tremblay (certified by the Sake Education Council in Tokyo) who can guide you through a tasty tutorial on Sake basics. We tried the unagi (eel) nigiri, roasted cauliflower with sesame and shiso gremolata, seared fresh scallops with shiitake, oyster and honey mushrooms with shiso furakaki and miso-kasu sauce plus the excellent strip loin with ginger sauce. Shiso, by the way, is a Japanese green. Think basil meets anise. This was all served by Eric Cash and colleagues who guided us through the choices with tempting descriptions from the menu. 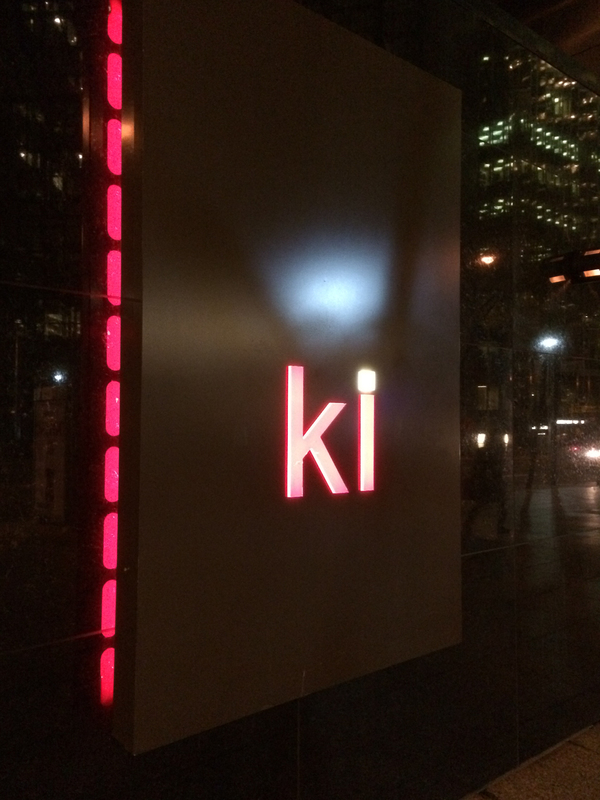 Ki is located in central downtown at 181 Bay St. and is a vibrant after-work cocktails scene. The very modern and popular Ki Restaurant even has a Sake Sommelier. Cluny Bistro and Boulangerie. Home of the tempting Absinthe Fountain. 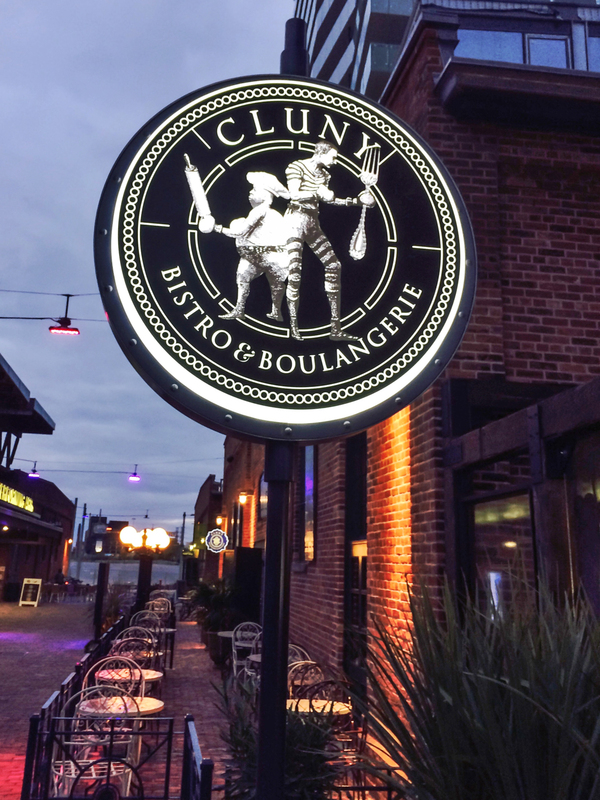 Our last dinner in Toronto was in the aforementioned Distillery District at Cluny Bistro and Boulangerie at 35 Tank House Lane. No cars are allowed in this lovely walking area so reaching Cluny is a delightful stroll over cobblestones amidst historic, rehabbed industrial buildings. And a trip well worth it (and only minutes from downtown by cab – we liked Diamond Cab). 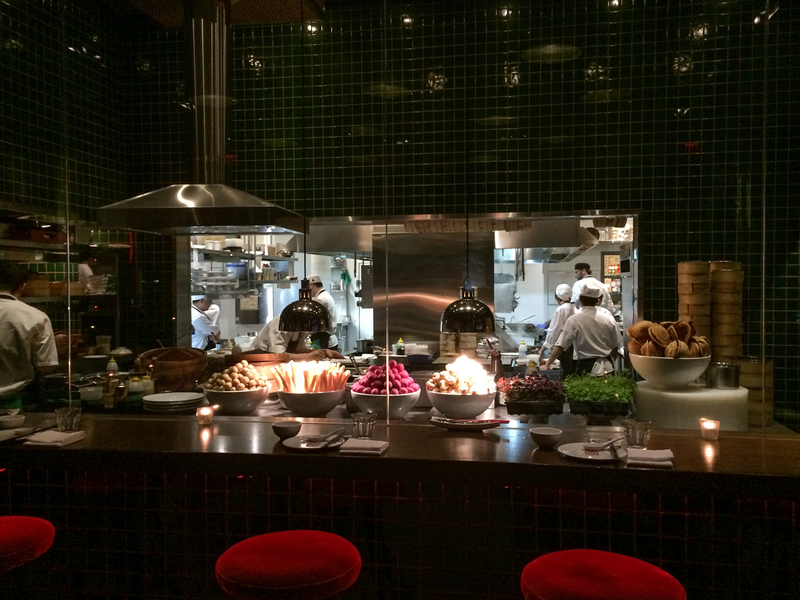 Chef Paul Benallick oversees the kitchen and dining area beyond the stylish bar and retail boulangerie. The space is cleverly broken-up into unique seating areas which allows for banquettes and tables. There is an intimate oyster bar as well where a group could have some serious fun. We started with delicious martinis recommended by ace server Crysta Boytchuk. Our drinks were accompanied by a clever amuse of Kingfish ceviche and followed by a crisp dinosaur kale and queen kale salad, one of the best French Onion soups we’ve had and a remarkable gnocchi with escargot dish that we would fly back to Toronto for. We moved on to the Drunken Tuna (seared ahi, red pepper pesto, pureed potatoes and a sherry vinaigrette) and the steak frites plate with a 6 oz. filet mignon served with lemon and garlic aoli. The Absinthe Fountain at Cluny Bistro. But wait, there’s more: The Absinthe Fountain. Here’s how it works. You see it across the room at another table; a large glass samovar filled with ice water and you want it at your table. In our case it appeared by the hands of gracious floor manager Andrew Thisby. You are served a glass of clear Absinthe with your choice of a house made sugar cube. 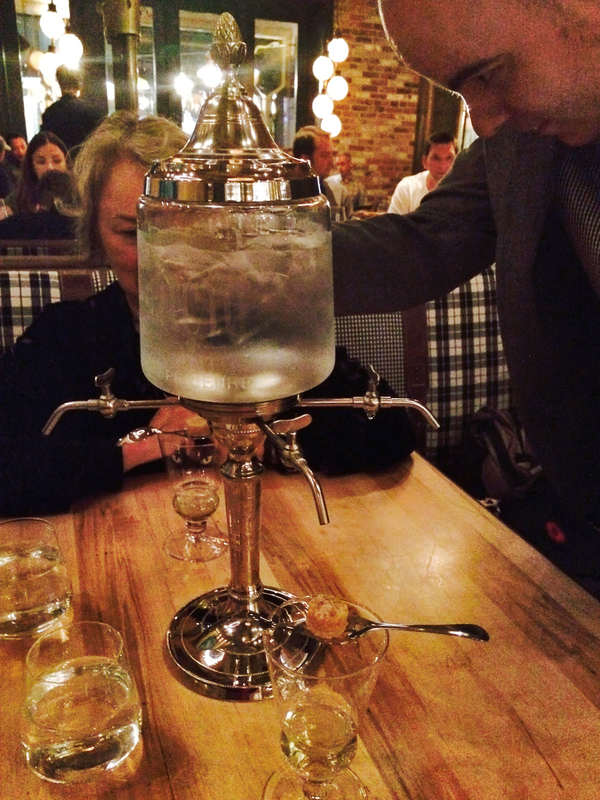 The ice water from the samovar is dripped through the sugar cube into the Absinthe. A great way to end a meal. Adieu beautiful, exciting Toronto. We’ll be back. There is so much more to see.